bodice – Nice dress! Thanks, I made it!! … not that it has even snowed yet. 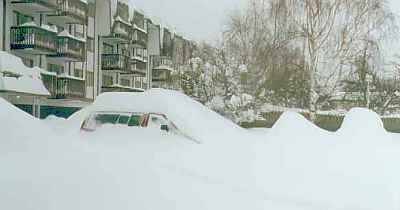 Hopefully it will not be anything like the freaky Winter of ’96 (photo below and see source post here). Photo courtesy of “The Weather Doctor”. No rain, a new hair-do and a new dress! 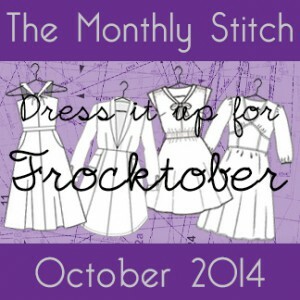 It’s Frocktober! 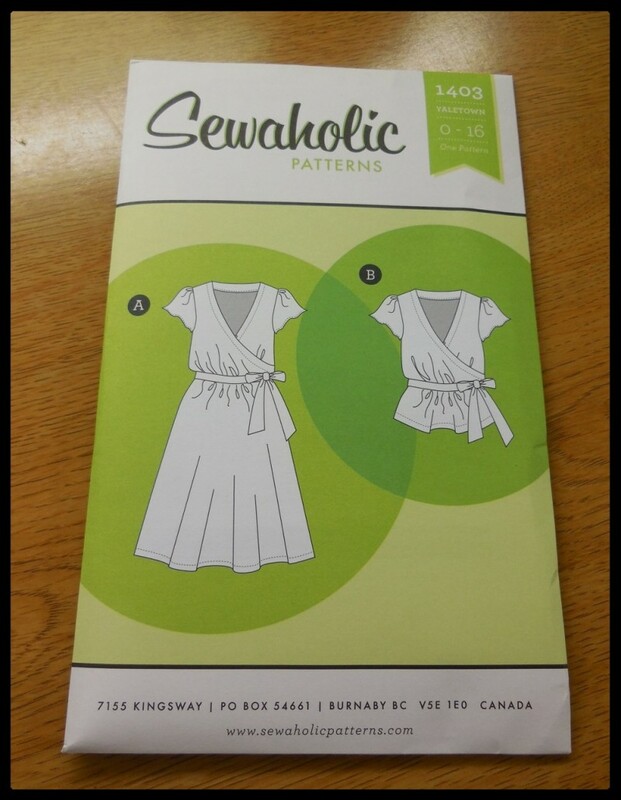 A while ago I received my Sewaholic Yaletown pattern in the mail and knew I had to sew it up with my Batic 100% rayon purchased during my shopping trip to Vancouver! My dress is done now, just in time, and I am very pleased with it. I Nice dress! Thanks, I made it!! Quiet Please! Studying in Session! I have definitely been busy, not sewing, but studying. I have been working on my Bodice fitting shell! When done, I hope to use it as a guide for fitting other patterns or even, some day, designing some patterns for myself! 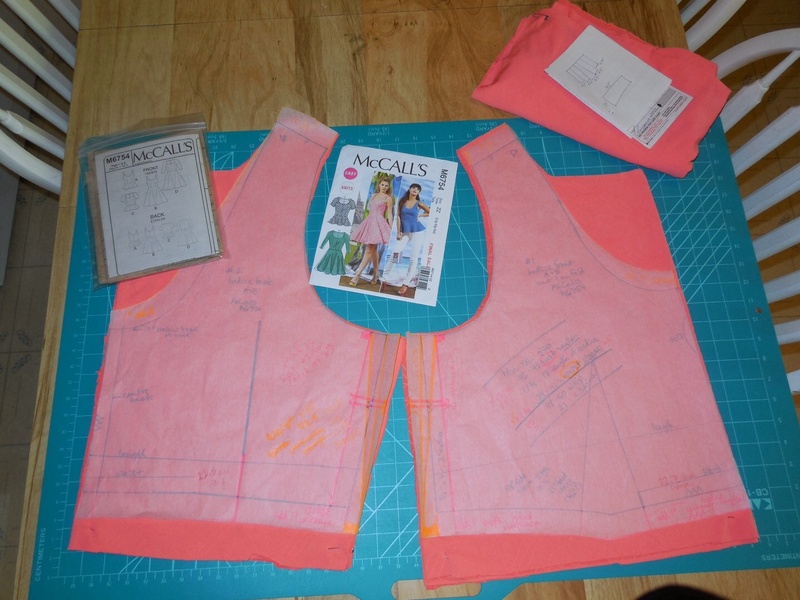 A while back, I bought myself the Craftsy courses “Fast-Track Fitting” and “Fast-Track Fitting: In The Details” by Joi Mahon. I was excited to work on improving my pattern fitting. 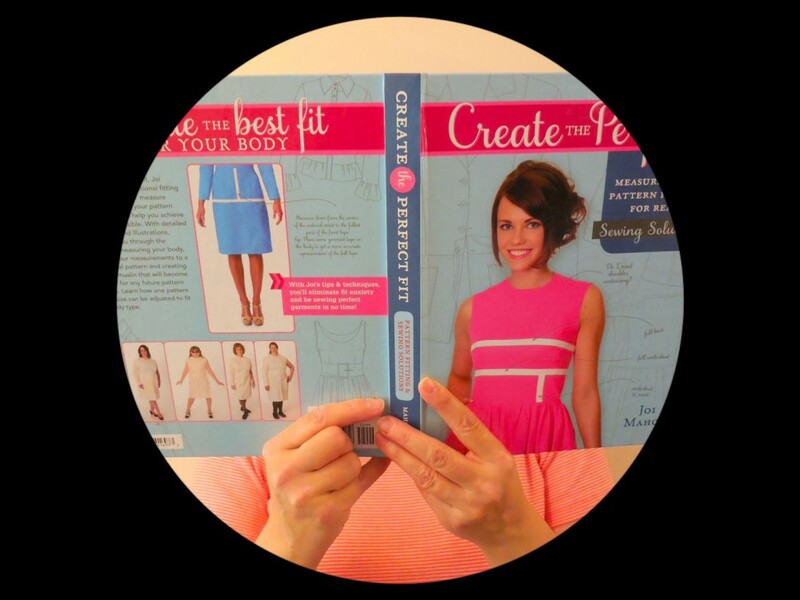 I liked these two courses so much I bought Joi Mahon’s book “Create the Perfect Fit“. Although I like watching videos of “how-to”, when it comes down to doing it, I like having a book or instructions to refer to as I measure, cut and sew. Flipping pages back and forth just makes me feel like I have something solid in my hands. A good friend and co-worker asked me to make a dress for her daughter’s year-end “graduation” from grade 8. I have had experience working with her and her daughter before, making her a flower girl dress for a wedding. I knew that there would be lots of alterations ahead for this tall girl. But I enjoyed the opportunity last time and knew I would again! Her daughter knew exactly what she wanted. She wanted a dress that was a mix of this…. 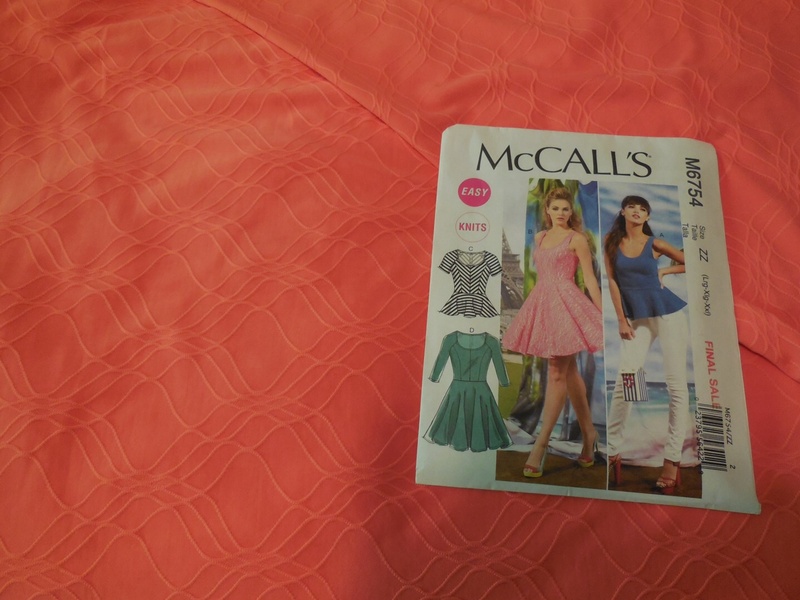 And this pattern, McCall’s 6754…. The bodice would be as is, sort of, but the skirt had to have box pleats instead. The daughter choose a lovely orange polyester spandex knit called “Wella Wave”. 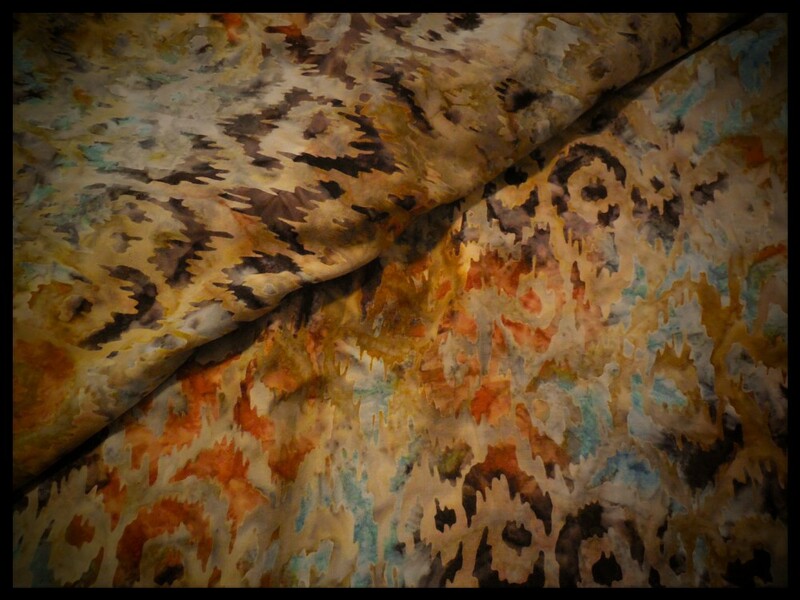 I don’t know if it is easy to see or not but it has a “wave” embossed in the fabric. Just a beautiful choice. I traced the pattern bodice with alterations for bust size, length and I raised the front and back necklines (that at the mother’s request 😀).